Hello! Today I have a fun polish to share. This is the first one I have tried from my massive pile of polish con goodies (if you missed my haul post, you can find it here). 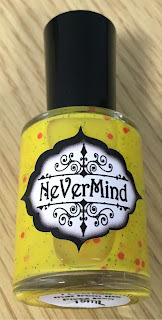 Excitedly debuting at the event was new brand NeVerMind Polish. I recieved some of their nail vinyls in my VIP bag, but also stopped by their table to meet them in person. I ended up purchasing polish con limited edition polish 'I Learned That From The Pizza Man'. Read on for my swatch and more info! 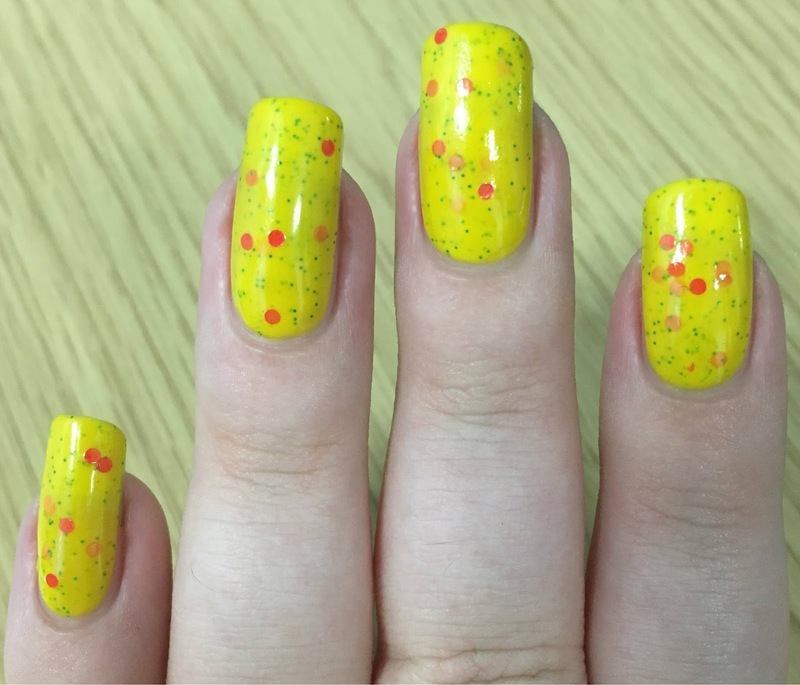 'I Learned That From The Pizza Man' is a yellow full of green microglitter and red circle glitters. The formula was smooth and easy to apply, however being a yellow it is quite sheer. It did build up nicely, and was completely opaque in three coats. I also had no issues at all getting any of the larger glitters out. Below is three coats and topcoat. What do you think? I know this is a polish that not many people will like, but I think it's fun! 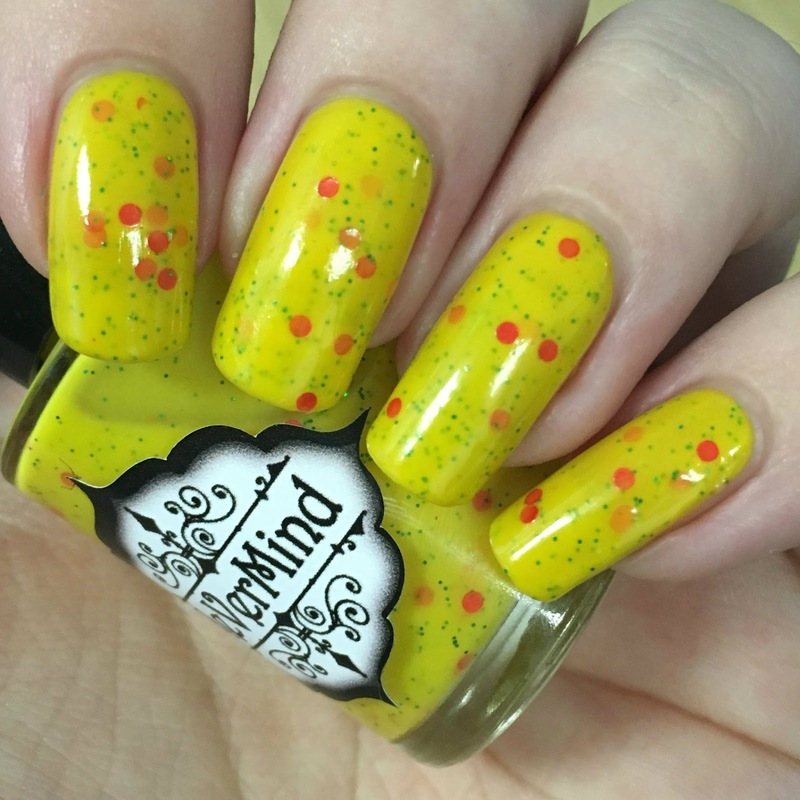 It has the same sort of vibe as OPI's 'Pineapples Have Peelings Too', where it's so wrong that it's right - I love it! Looking at this on my nails just makes me smile. 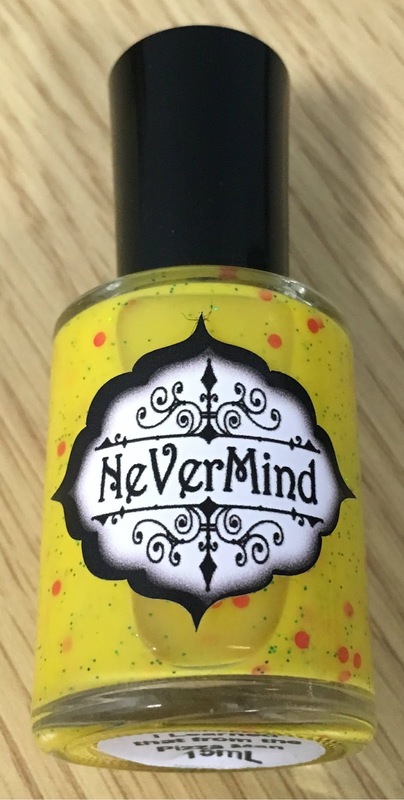 You can find 'I Learned That From The Pizza Man' on NeVerMind Polish's etsy store here. You can also find the brand on Instagram here. The name is so funny! I really like this polish, but I wouldn't compare it to that hideous OPI. haha That polish was so bad. I would get so hungry wearing this! 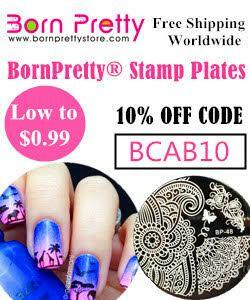 This is definitely an interesting polish! I really like this! Yay Pizza nails! I love the shed. With striping tape you gat perfect pizza 🍕 ;) Look really very pretty on you.